Our world and everything in it incessantly grow’s and evolves. You guise around and see the changing seasons ground us and we appreciate the cycles of regeneration. Even the toughest winters are not perpetual. 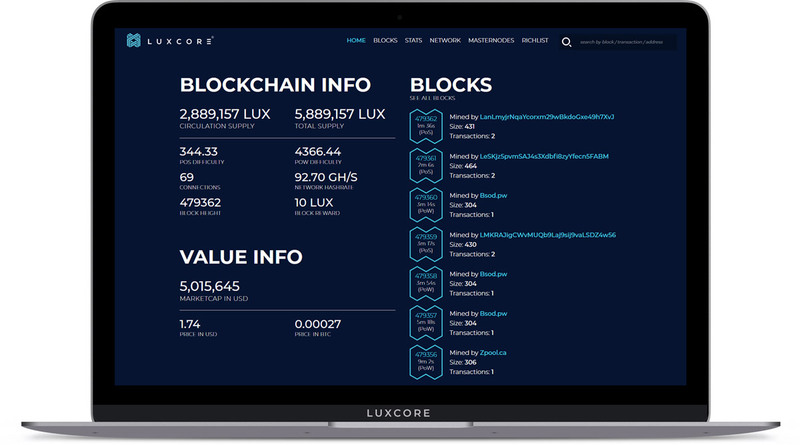 At Luxcore, we strive to grow, evolve and better ourselves over time. 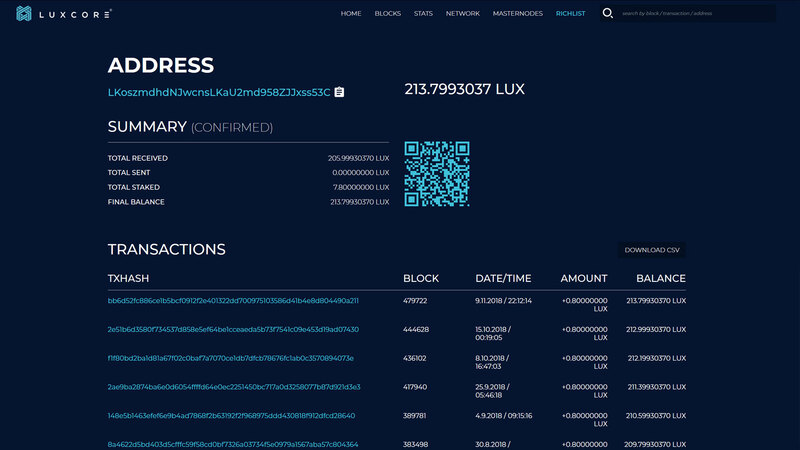 Luxcore believes that our best work is not yet done, we can always continue getting better. 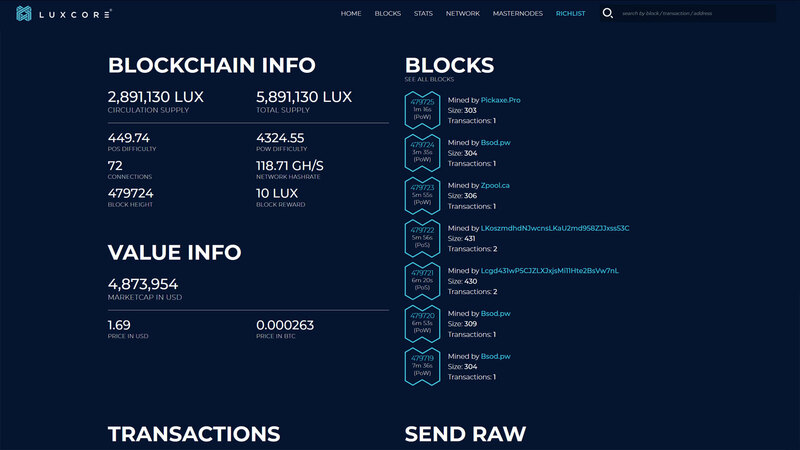 The re-design of the new Lux explorer has been central to Luxcore’s goals to increase data transparency and analytics to the entire community in a precise and beautiful experience. The new and improved explorer comes to life through the great visionary and talented skills of Sebi. 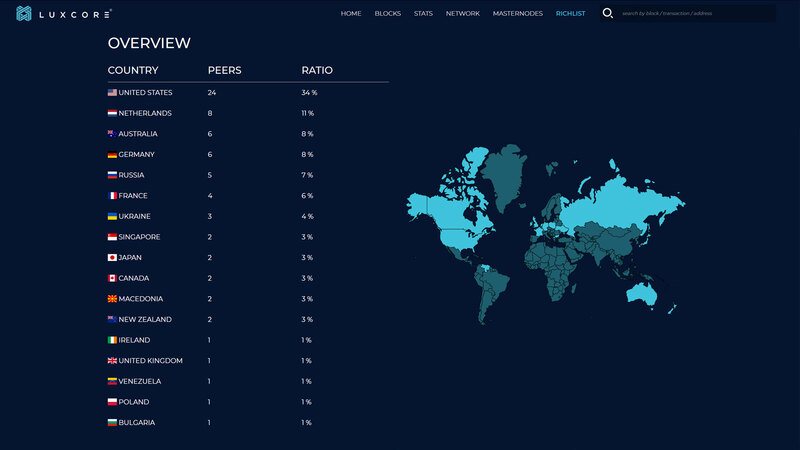 He stated that it was of the up-most importance to increase transparency since “a lack of transparency results in distrust and insecurity.” An innovative added feature to the new explorer is the Stats view that shows the statistics and important information of the last 24 hours. 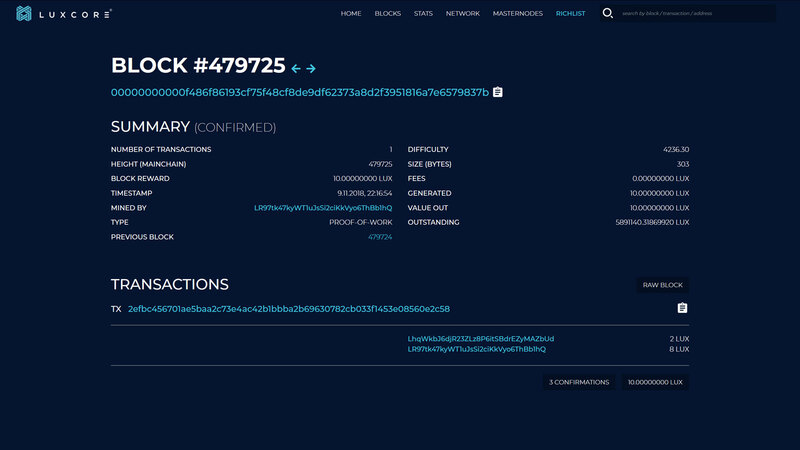 As you look through the beautiful new design you will notice all the most important features pop out from extraction chart to possibly the most important aspect, difficulty. 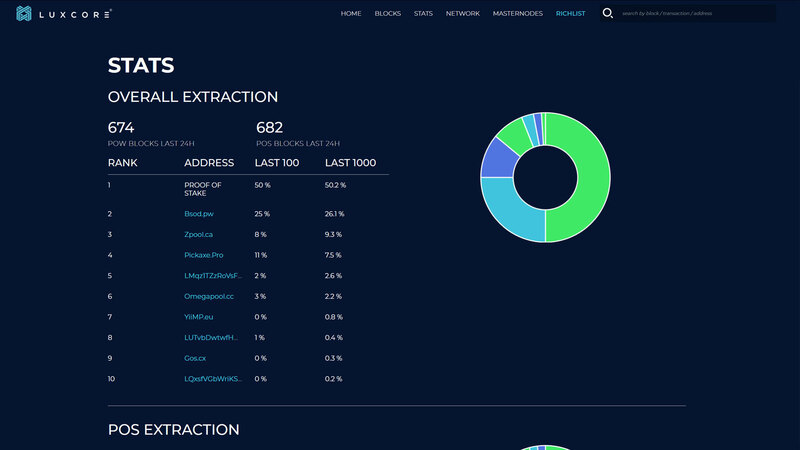 The extraction chart has an important role in transparency because it allows everyone to see if the chain is working properly or if someone is taking advantage and or cheating the chain. 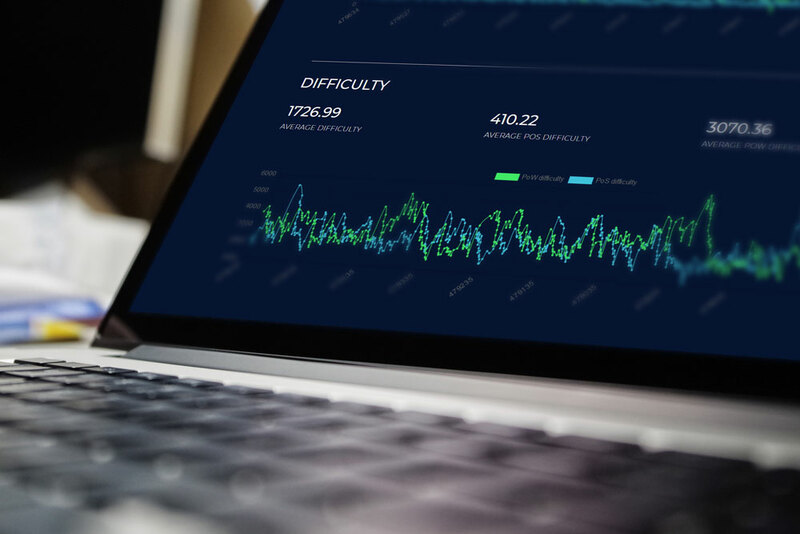 Sebi mentioned that difficulty was a core feature he wanted to showcase for the community because this enables anyone to see how many users are mining and staking at any current moment. We did not stop there when it comes to the great new technological features added into the explorer. 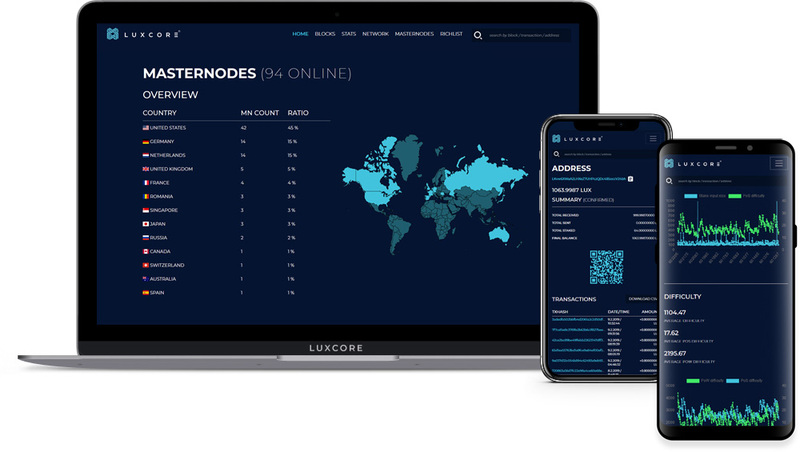 The network view provides the possibility in one glance to see the networks health where every minute the connected nodes are checked through a technical process where Luxcore does an IP to geolocation lookup. 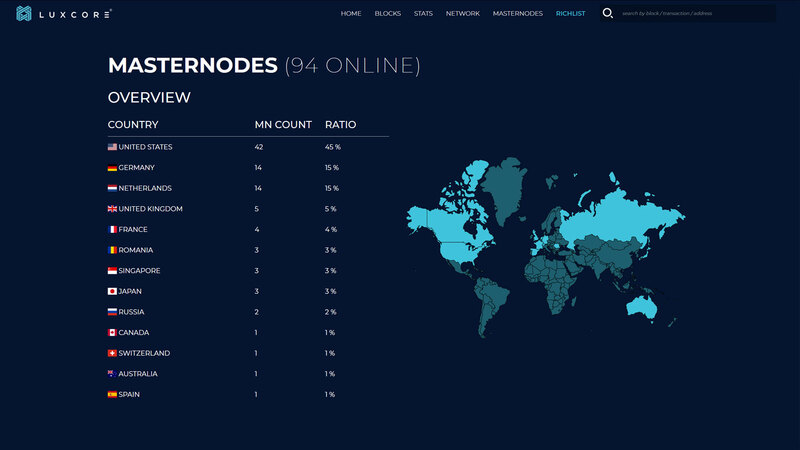 The masternodes view has the same features where it shows each and every masternode, its location through a clearly marked map and its health all in unison. 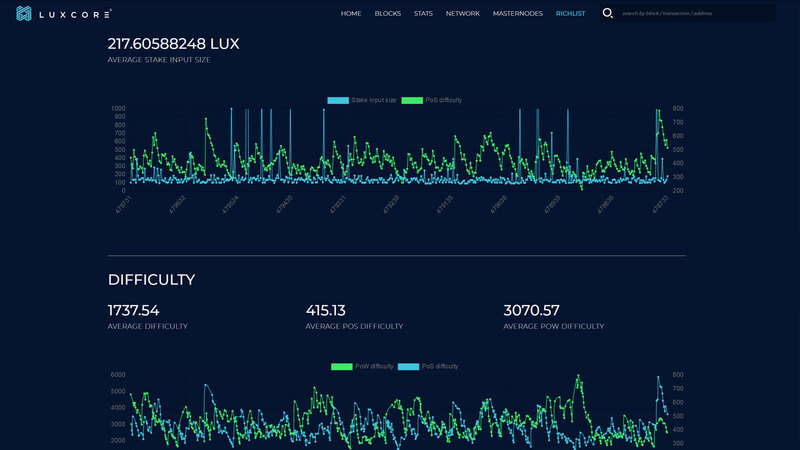 At Luxcore, we know that growth and improvement aren’t by mere chance; it is the result of forces working together. 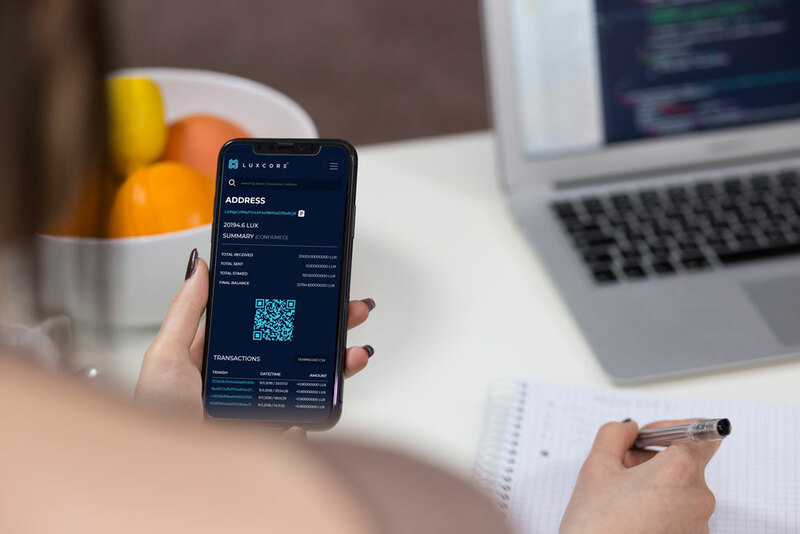 This is done so through effort and hard work done so by those individuals that strive everyday to make Luxcore one of the top projects in the space. 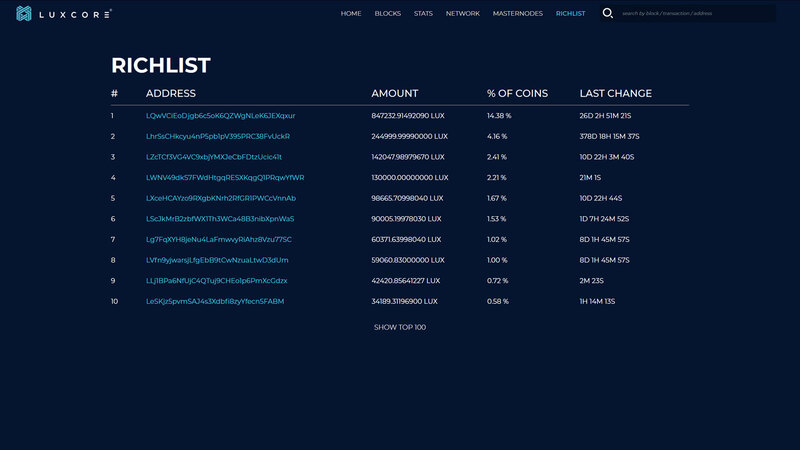 We hope you enjoy the new explorer and go on over to https://explorer.poswallet.io and have a look for yourself today! 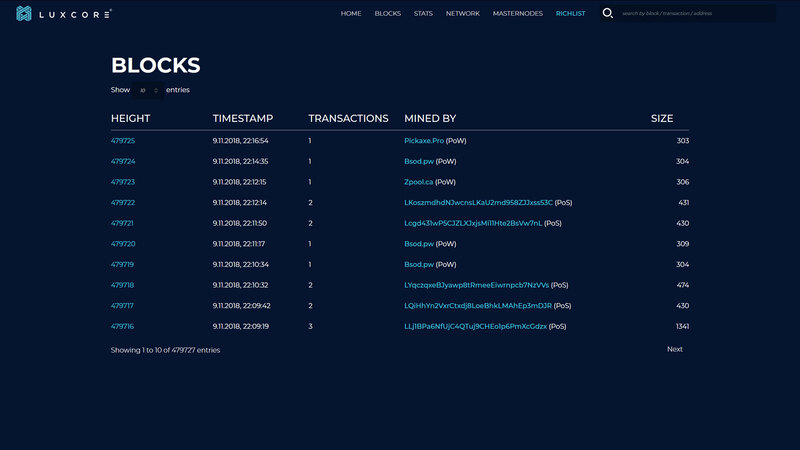 Tired of maintaining the Explorer for your coin? 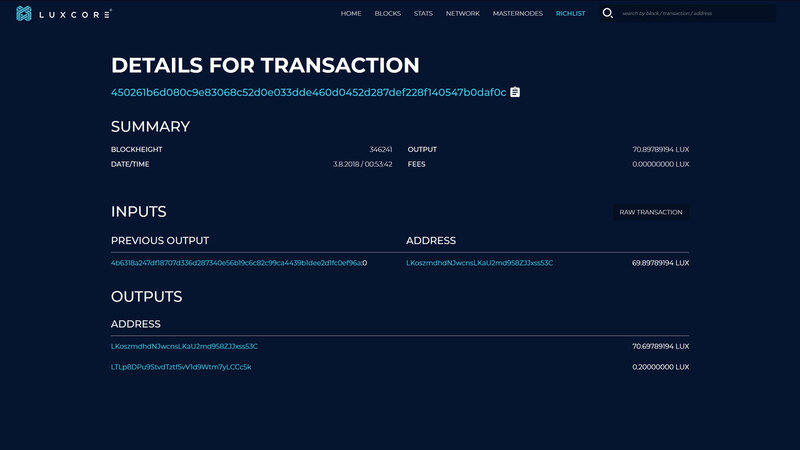 Leave your information!